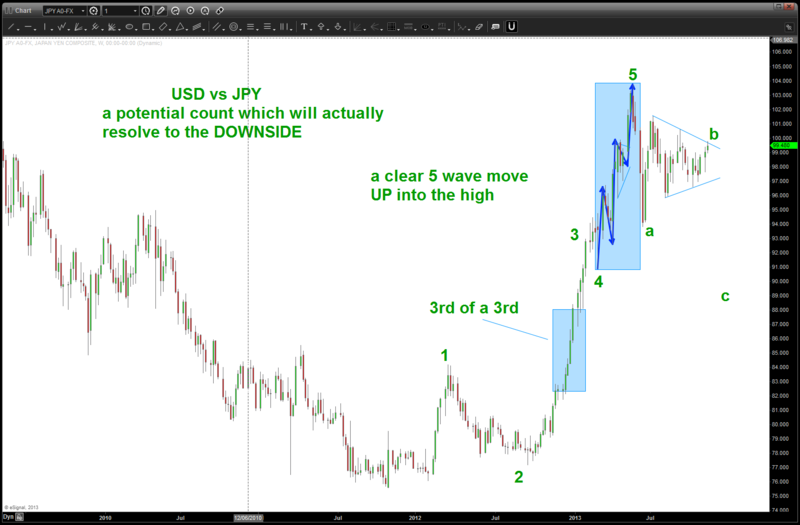 a line in the sand was drawn at 75 in the USD vs JPY when the BOJ, after the horrible tsunami, said – enough is enough this is where the buck stops! the rest is history and a big KABOOM occurred. 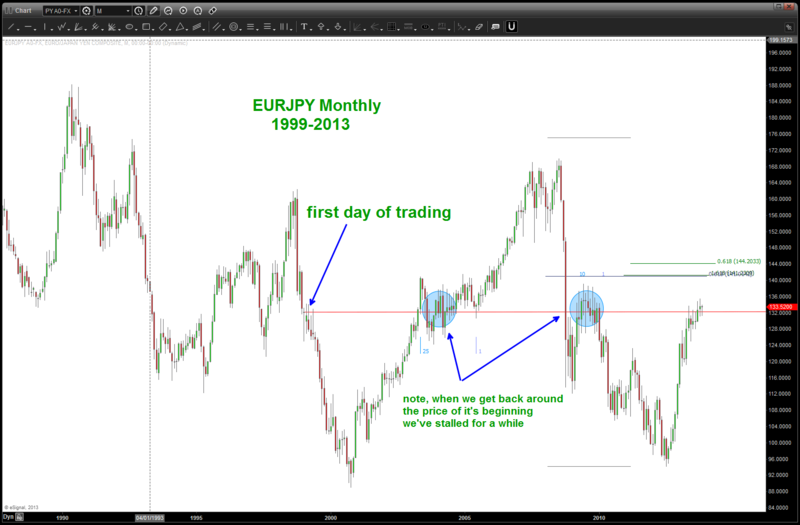 everyone and the brother can see the coiling occurring w/in this very important currency pair and, quite frankly, everyone and their brother is EXPECTING it to resolve to the upside. here is the case for that ..
if you look at that post, we nailed the low and the pair has moved up from the levels indicated. 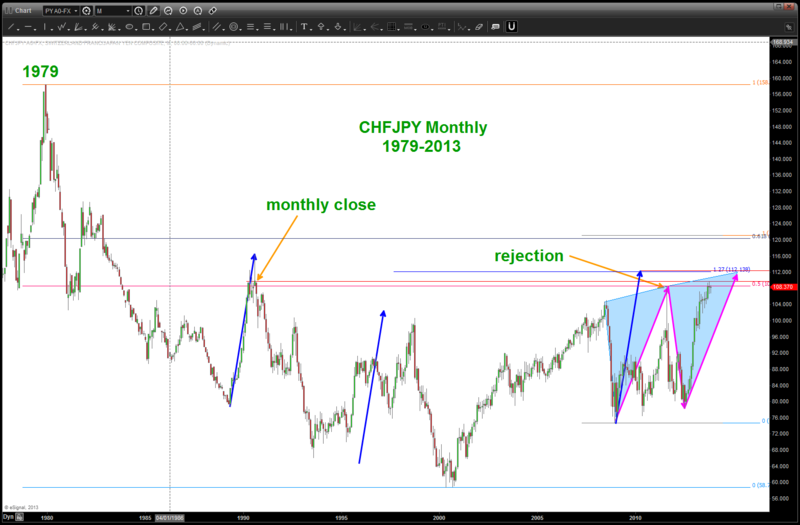 CHFJPY: stopping exactly where it got smashed a couple years ago and in 1999. 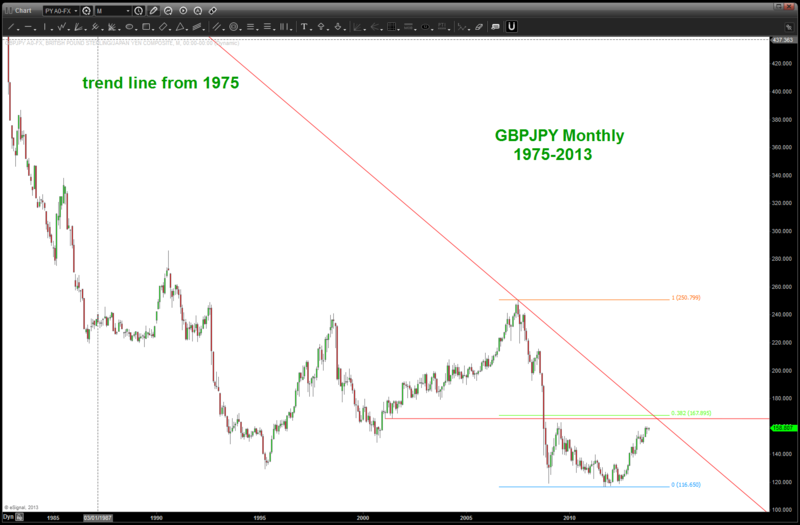 (JPY strength) / this is the most fascinating chart IMHO. the line is the JPY vs USD. 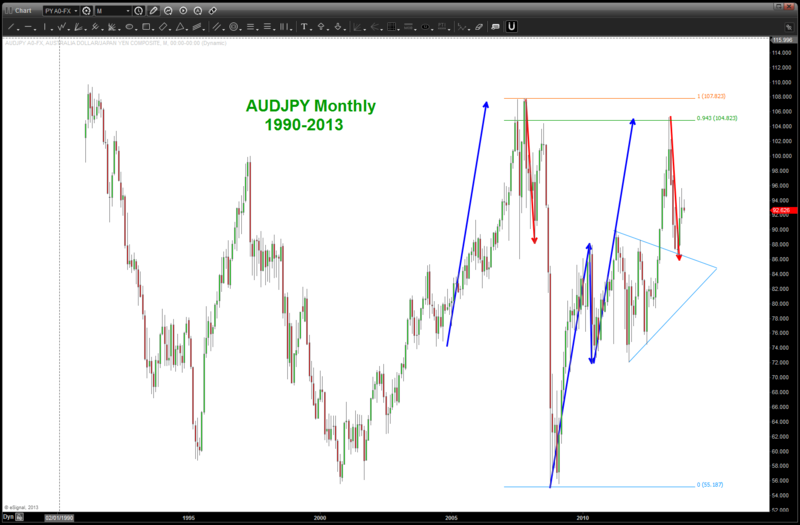 the JPY is “strong” when the blue line is going up and it’s weak when the blue line is going down. note the TIMING of the inflection points in the ratio. the issue here is the 4th wave .. with such a powerful move i would expect more consolidation. But look at the wave labeled 1 – the 4th in that move was a quick “bump in the road” and the 4th before the top at 104 is kind of a mirror image. perhaps forcing it, but is something to consider. 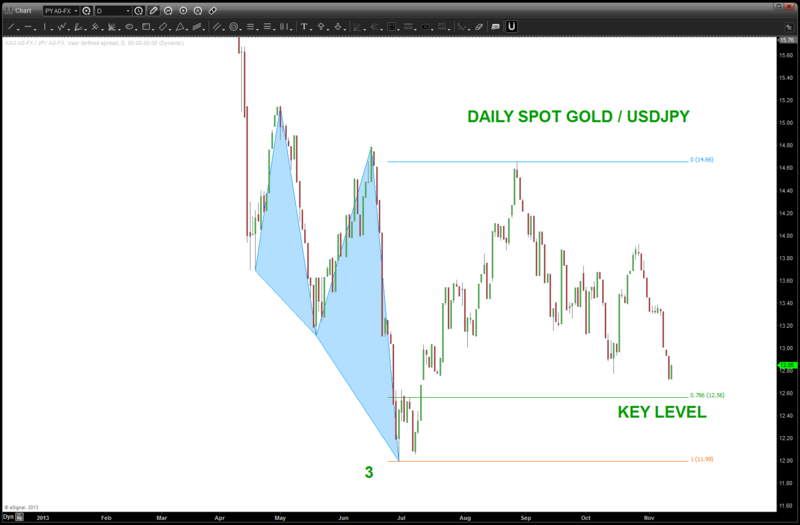 the last thing to consider is the CLEAR 5 WAVE MOVEMENT INTO the 104 zone. 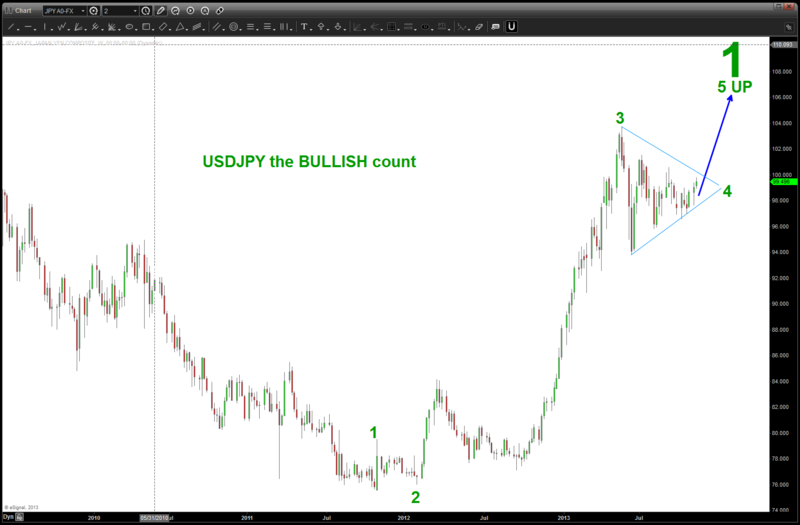 1,2,3 triangle 4, 5 … quite frankly, why isn’t this count a possibility? especially if our ratio finds support and goes up some more to relieve the beating it has taken ..
← EURO correction complete, shall we resume lower? “Good Golly Miss Molly” can hear momma call. Its so much easier to eat doughnuts and watch those stocks rise. no idea what that means Bret. let me know dude and great work on your charts! Excellent work,really impressive didn’t know what to say except good golly. This is the best presentation on currencies I ever seen. I like that you also threw in a ratio of Gold. Once again I’ve never seen currencies presented so well. When I was in the Navy Krispy Kreme donuts were delivered by the truck load while we were in port. I bought DNKN and regret not buying KKD too. Anyway my reason for buying the stock wasn’t technical. Bret, thanks and I really appreciate it. Currencies rule the world and are the biggest and most liquid market out there at, estimates, 3 trillion/day. 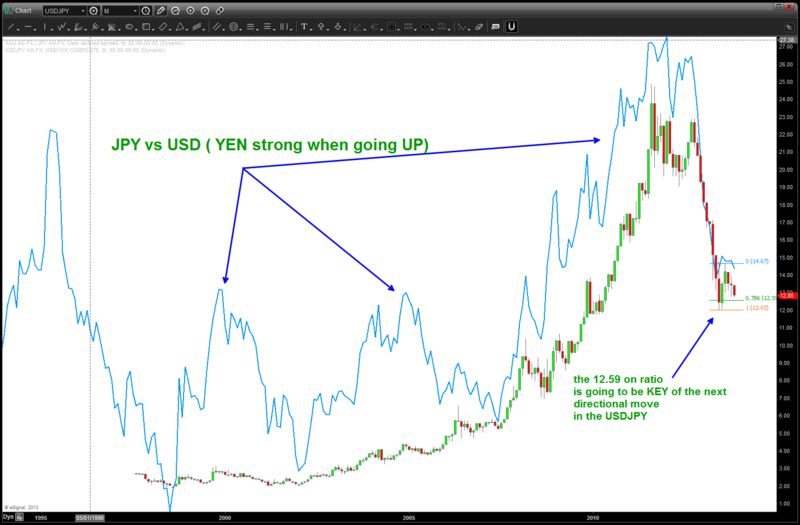 the YEN and it’s cross rates are really really important right now. 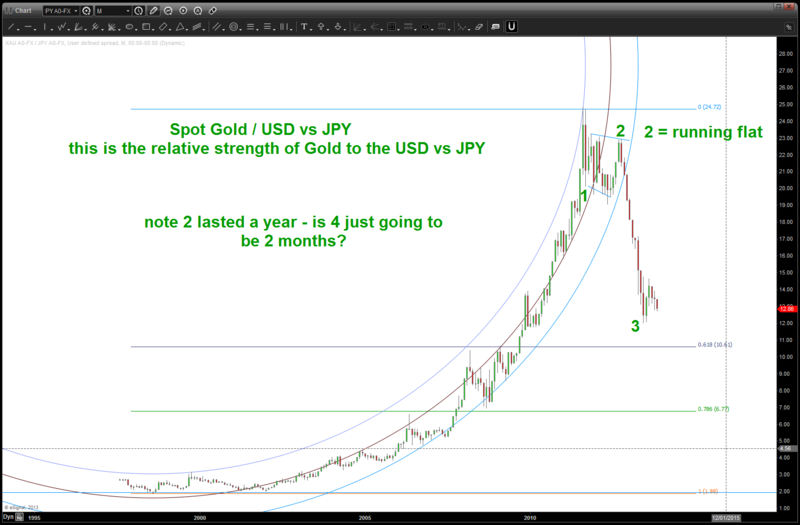 Bottom line – is Japan out of the deflationary thump of 20 years? 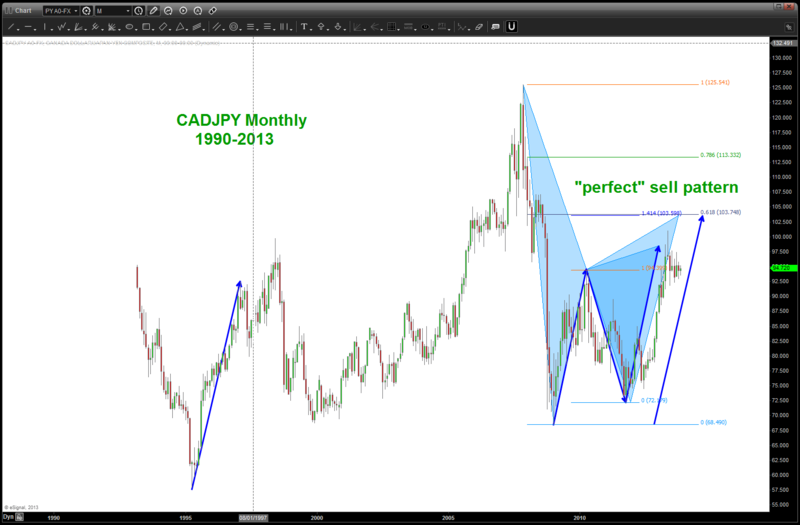 guess we’ll soon find out … keep the chart work coming!